Hi everyone! This is GiGi from The Cricut Bug and I am sharing this "cool" card I made. I started this card with a standard A2 card base and added the background mat cut with the Card Mat Dies and stamped the background using the Holiday Splatters stamp set. I added the snow layers cut with the Tropical Dies and the banner cut with the Winter Banner Dies. 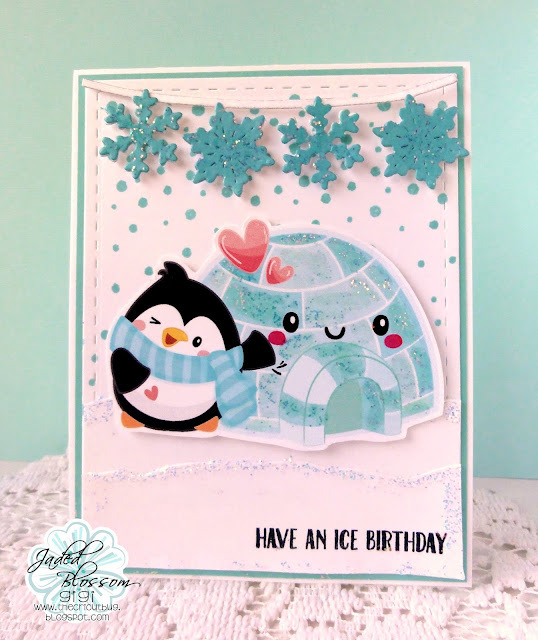 The Penguin and igloo are from the Penguin printable from The Happy Graphics that I doctored up with some Stickles and white gel pen. 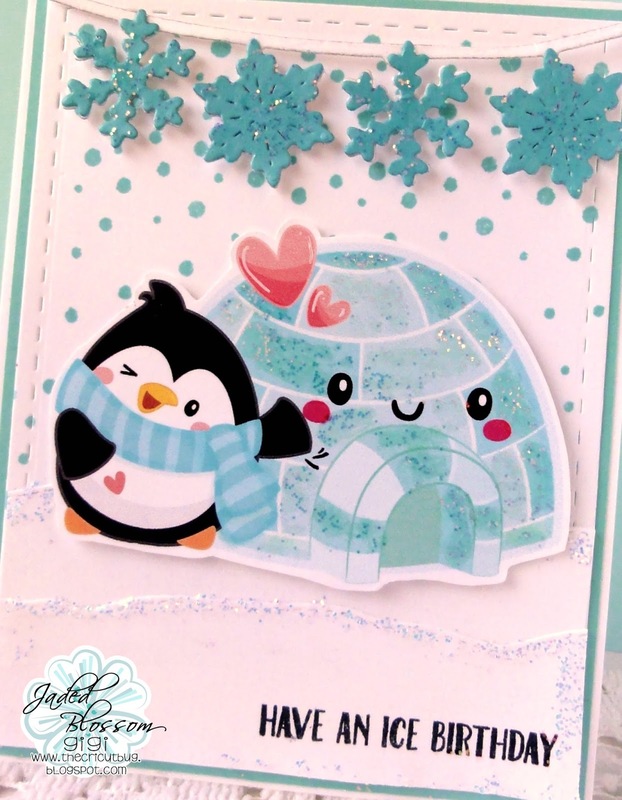 To finish, I stamped the sentiment using the Penguin Dress Up stamp set and added more Stickles to the snow layers. I LOVE penguins! !Too darn cute! !